Finding and saving browser history on Android is not difficult if you are using the Snoopza application. It’s a free phone history tracker. How can you save your phone history and the history from other smartphones? Is it possible to find a history on your phone? Find the answers to these questions when you download Snoopza. Snoopza has many useful functions. If you want, you can use it to search a phone’s history. This app saves browser history (Android) and has a special invisible (stealth) mode. Nobody will know that this secret app was installed on his/her phone and is collecting data. Why do people need to check a phone’s history? Many people wonder how to check history on Android. However, some people don’t understand why they need such a feature. This function helps prevent damage and unpleasant life situations. Just imagine that your children spend a lot of time using smartphones. As we know, the Internet is filled with strange websites that are not appropriate for kids or teenagers. Of course, you want to look up your child’s web history on his/her phone. Maybe your kids are sharing forbidden pictures or visiting bad sites. Nowadays, it’s mandatory to track phone search history. Clever parents use Snoopza. Some businessmen choose this cell phone tracker, too. They can look through the history on their workers’ phones. Snoopza is a perfect solution to control employees. It eliminates workplace distractions. Recent studies revealed a very interesting fact. Employees spend more than 13% of their working hours using various websites and social networks (YouTube, Twitter, Facebook). They can make personal calls or send personal emails. Some workers even do online shopping and play games. Nearly 20 hours a month are not used for work. Of course, no boss can check his/her employees all the time. If you are a businessman, you must try this clever application. Be sure your workers don’t spend their time visiting specific sites. They will know that you can look at the Android browser history of their devices whenever you want. Just this knowledge can prevent a lot of problems. You can get a lot of benefits from installing Snoopza – a free spy app for Android. For example, you may want to know some details about people. Of course, you can find a private detective, but you’ll pay a lot of money. Or you can learn how to view internet history using Snoopza. Not only is it cheaper, it’s also faster. What should a parent or business owner, as well as a married couple, do to prevent problems? The answer is simple. 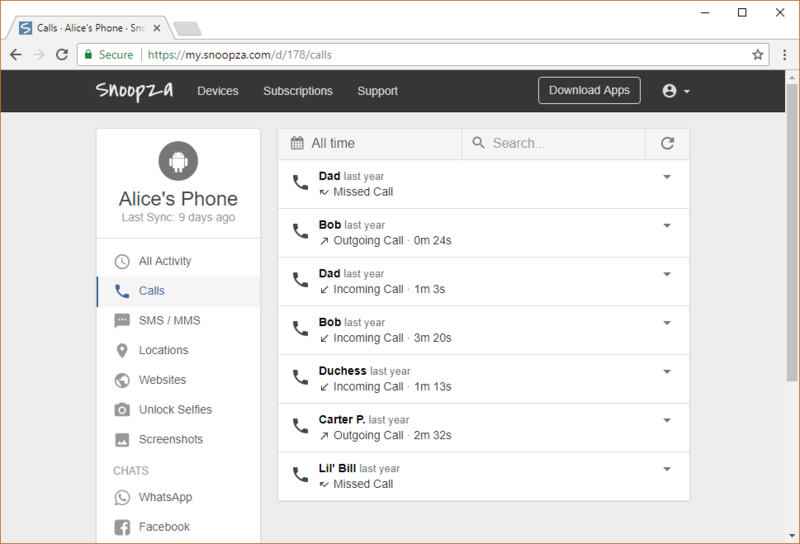 Install a phone history tracker on the mobile devices of your staff, children, etc. After that, you’ll be able to check the data from their devices. Create a personal web account (provide an email and a password to protect it). Install it on the devices you want to control. Monitor the websites visited by the users of the target devices. You can find saved information in your personal user panel. This can be accessed online from tablets, computers or laptops. You just need an Internet connection. Saving the browsing history in Snoopza is enabled by default. You don’t need to change the settings or take any additional steps. It’s very easy to check browser history on Android.